Origins summer collection 2013 has been launched after the success of Origins spring collection 2013. Origins was launched in 2010. It provides ready to wear clothing especially for women. The brand, because of its quite stylish dresses, has become one of the highly sought-after brands in the fashion industry. Most of its dresses are meant for day wear. The design philosophy of the brand is rooted in the spirit of the modern woman but isalso attached to our heritage. 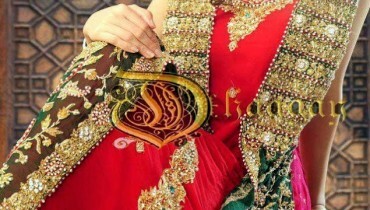 Hence, you can see that the dresses are modernbut do have traditional design elements here and there. This collection includes casual wear clothes. These casual wear dresses have long printed and embroidered shirts as well as frocks for women. Along with it, there are churidaars and dupattas. The clothes are traditional and made according to the tastes of women in the country. The clothes are loved by many women, who wait eagerly for its new collections every season.The clothes of Origins are sold through its outlets. The outlets of Origins are located in different cities. The brand can be contacted for inquiries through phone or email as well. Women of different ages and backgrounds can wear these elegant dresses in Origins summer collection 2013. 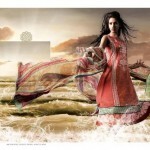 Thus, you should check out Origins summer collection 2013 for ladies, if you want eastern dresses with stylish designs. outlets.You can go there for its contact details. You may go to the Facebook fan page of Origins through the address that is provided here.